Once again, I’m lucky enough to be attending the annual Bologna Children’s Book Fair in Italy. What an experience! I’m here as co-editor of Bookbird, the IBBY journal of international children’s literature. We have board meetings, help staff the IBBY exhibit booth, and network with people all around the world to get input for the journal. 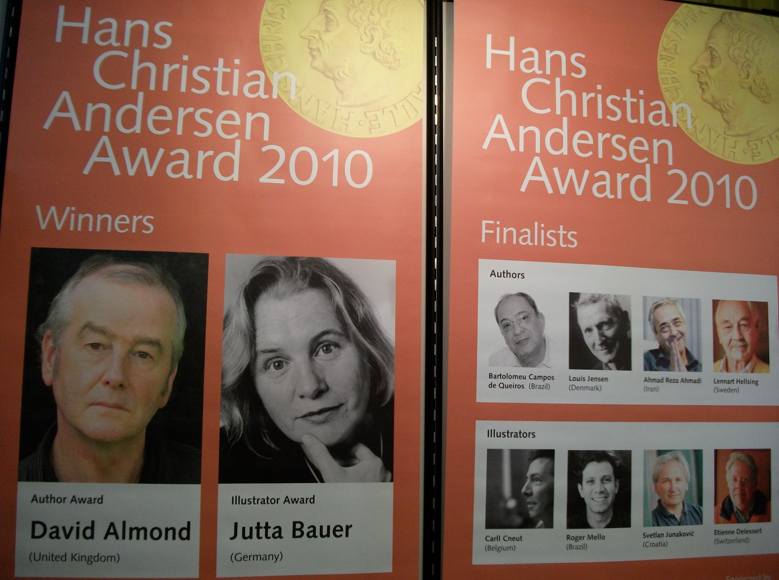 I' m sure that you've heard by now that David Almond (of the United Kingdom) has won the Hans Christian Andersen medal for writing and Jutta Bauer (of Germany) has won the medal for illustrating. I was at the press conference when it was announced-- along with several of the shortlisted authors and illustrators-- and it was very exciting! I just finished c o-editing the special issue of Bookbird that spotlights the authors and illustrators around the world who have been nominated for IBBY’s biennial Hans Christian Andersen award in 2010. We’re showcasing the issue here at the Book Fair and it has just been mailed out to subscribers this week. (Some people tell me they received their copies on Tuesday when the awards were announced-- AWESOME!) Traditionally, the April issue of Bookbird focuses entirely on all the nominees and only the nominees to give them each equal exposure, taking the opportunity to highlight and honor each of these remarkable stars just prior the to the selection of the winning author and illustrator. 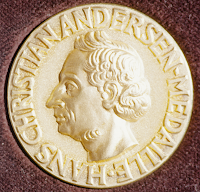 The Hans Chri stian Andersen Awards are presented every two years by IBBY (International Board on Books for Young People) to an author and an illustrator whose complete works have made an important and lasting contribution to children's literature. A total of 28 writers and 27 illustrators have been nominated by 32 different IBBY National Sections for this most prestigious and highly regarded international prize. I have been immersed in the lives and works of these 55 individuals and have found it completely fascinating. 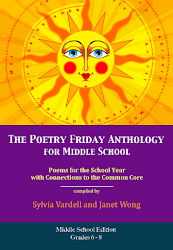 What has been a special surprise has been to discover that 10 of the 28 authors who have been nominated are POETS (and/or authors who also write poetry)! 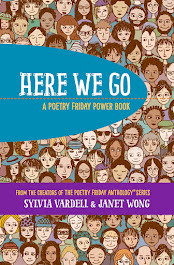 Ten poets from around the world are considered among the best writers of books for young people in their home countries. Wow! It was also surprising (and humbling) to see how little I knew about these poets. So, I thought I’d pass on what I have learned to you. If you’d like more info (plus photos, bibs, and book covers, you’ll have to subscribe to Bookbird! Here are the names of the 10 poets who are at the top of their game, from Sweden to Slovenia to Iran to Japan to right here at home in the USA: Paul Lennart Hellsing (Sweden), Tone Pavček (Slovenia), Alberto Blanco (Mexico), Shuntaro Tanikawa (Japan), Ahmad Reza Ahmadi (Iran), Pavel Šrut (Czech Republic), Bartolomeu Campos de Queirós (Brazil), Pierre Coran (Belgium), Heinz Janisch (Austria), and Walter Dean Myers (from the US). And here’s just a nugget of info about each of them excerpted from their Bookbird profiles. Lennart Hellsing was born in June 5,1919, in Västanfors in Fagersta. He is considered Sweden’s grand old man of children’s literature; his latest book was published in May 2009, Little Brother and Night-time. He has had a tremendous impact on Swedish children’s literature, as writer, translator, critic, and promoter for research in children’s literature. Since his debut in 1945 he has published more than 60 books and is considered an "outstanding poet" in the field of humor and nonsense writing. He is a master of rhyme, rhythm, puns, and alliteration. Tone Pavček has had a career that has spanned over fifty years. In 2009, he received the Golden Order of Freedom of the Republic of Slovenia bestowed by the president of Slovenia, a culmination of Pavček’s contributions to his native country. He has written twenty-six poetry collections for children and sixteen collections for adults. He is also an esteemed essayist and has translated Russian poetry. His own poetry has been translated into Russian, Serbian, Czech, Macedonian, Croatian, Georgian, and Azerbaijanian. Ahamd Reza Ahmadi is considered to be the founder of New Wave Poetry by the Iranian Artists’ Center and is recognized as a pioneer of surrealism in children’s literature in Iran. Ahmadi’s poems were born, and ultimately survived and flourished, despite a climate of political turmoil. His writing is thought to be unique in the way he creatively combines poetic and prose structures. His poems have been translated into many different languages including Arabic, Armenian, English, French, German, Italian, Japanese, and Korean. Poet, translator, and prose writer, Pavel Šrut was born on April 13, 1940 in Prague. Šrut is the lone poet among the influential generation of Czech poets from the 1960s who from the outset of his career dedicated himself equally to the craft of poetry and children’s literature. Initially, he began with children’s verse and then expanded to adaptations of fairy tales for television and screenplays for animated films. Šrut is known for balancing the relationship of sense and nonsense in his writing by interweaving motifs from nursery rhymes, singsongs, and games in his verse. Bartolomeu Campos de Queirós was born in Minas Gerais, Brazil, in 1944 and graduated from Federal University of Minas Gerais with a degree in Philosophy. He began publishing in the 1970s and his work thus far includes approximately 50 works of both prose and poetry for children and young adults. More studies have been published about his work than about any other Brazilian author of children’s literature. Janisch was born in Güssing Burgenland in 1960 and obtained his degree in German publishing and literature from the University of Vienna. He has authored numerous picture books, poetry, and novels for both children and adults. Heinz prefers the small form: the poem, the aphorism, the fraction of a thought. He lures readers through his magical tone, beautiful language, and creative rhythm. His works have been published in over twenty languages. Currently, Janisch is putting together a volume of poetry as well as an anthology of 365 stories. Walter Dean Myers uses his own life experiences growing up in Harlem, New York in the 1940s and 1950s as the background for his writing. His writing career was launched at the age of nine when a teacher suggested that he write to express himself. He began writing poems and short stories and discovered solace in books. Walter Dean Myers has produced an extraordinary body of work that includes picture books, poetry, screenplays, historical fiction, and factual books that depict the beauty, the struggle and the pride of the African American people and culture. 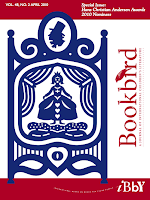 The two award winners (for writing and for illustration) will be featured, along with the finalists in both categories and the jury process itself, in the fall issue of Bookbird. 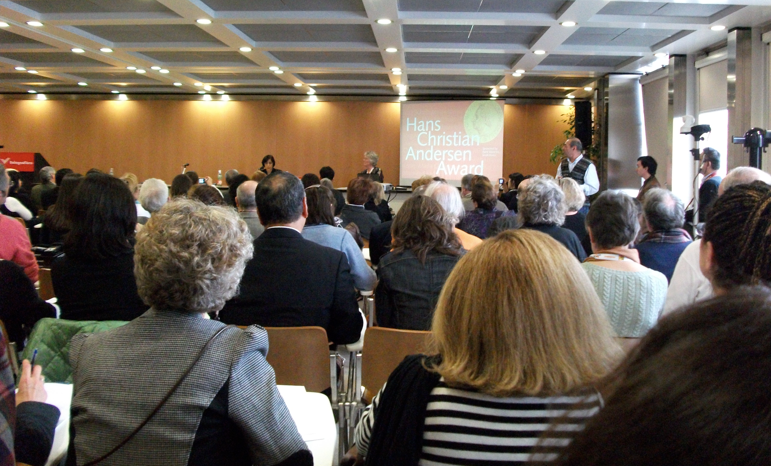 The Hans Christian Andersen Award Jury selects the award recipients and comprises ten members who are nominated by the National Sections of IBBY and selected by the IBBY Executive Committee. Zohreh Ghaeni is the President of the 2010 Jury and currently serves as the director of The Institute for Research on the History of Children's Literature in Tehran. The Jury deliberates and decides upon the winners and their results are made public at the Bologna Children's Book Fair every two years. These awards are presented to the winners at the 32nd IBBY Congress in Santiago de Compostela, Spain on 11 September 2010. As you may remember, my Book Links column in January looked at the “Big World of Poetry” taking a scan of many of the poets who write for young people all around the world. The more I learn, the more I see there’s more to learn! Although I served on the initial “shortlist” poetry panel for the bloggers’ Cybils award, I lost track of when the final decision was made. Oops! You’ve probably read it elsewhere, but I have to mention that Red Sings from Treetops: A Year in Colors (Houghton Mifflin, 2009) by Joyce Sidman was the winner. The Claudia Lewis Award for Poetry was presented this week to Joyce Sidman for Red Sings from Treetops: A Year in Colors (Houghton Mifflin, 2009). This award is presented by the Bank Street College of Education in New York. 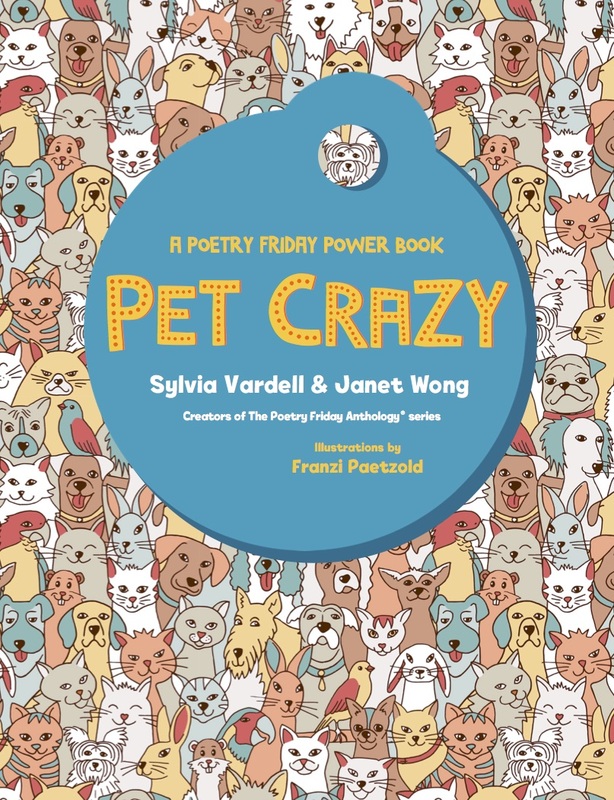 This award is given for the best poetry book of the year for young readers. Claudia Lewis was an esteemed poet, author, teacher of children's literature and a faculty member at Bank Street College of Education. *Florian, Douglas. (2009). Dinothesaurus: Prehistoric Poems and Paintings. *Hoberman, Mary Ann and Winston, Linda. (2009). The Tree that Time Built. Illustrated by Barbara Fortin. Naperville, IL: Sourcebooks. *Hughes, Langston. (2009). My People. Illustrated by Charles R. Smith, Jr. Poems. Illustrated by Joan Rankin. New York: Simon & Schuster. *Sidman, Joyce. (2009). Red Sings from Treetops: A Year in Colors. Illustrated by Pamela Zagarenski. New York: Houghton Mifflin. *Argueta, Jorge. Sopa de frijoles: Un poema para cocinar/Bean Soup: A Cooking Poem. Illus. by Rafael Yockteng. Groundwood. $18.95. 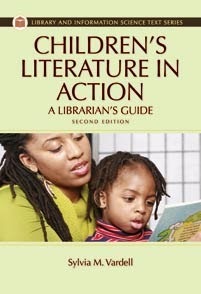 ISBN 978-0- 88899-881-1. Canada. This bilingual poem about making black bean soup offers a warm, culturally authentic portrayal of cooking and eating as a family affair. The Salvadoran poet’s lyrical language, in both Spanish and English, makes this book a great read-aloud. *Herrick, Steven. Cold Skin. Front St. $18.95. ISbN 978-1-59078-572-0. Australia. In a poor, post-World War II Australian town where nothing ever happens, Eddie and his father are at odds about working in the coal mines. When a classmate is murdered, everyone comes under suspicion. Multiple narrators guide readers through a series of twists and turns, keeping suspense high in this novel-in-verse. Speaking of internatio nal children’s literature, the International Board on Books for Young People announced the shortlist for the 2010 Hans Christian Andersen Awards this week. The prestigious biennial awards honors "a living author and illustrator whose complete works have made lasting contributions to children's literature." The shortlisted authors include THREE POETS: Ahmad Reza Ahmadi of Iran, Bartolomeu Campos de Queiros of Brazil, and Lennart Hellsing of Sweden. Other author nominees are David Almond of the U.K. and and Louis Jensen of Denmark. (I’ll be blogging more about this next Friday.) The illustrator shortlist consists of: Jutta Bauer of Germany, Carll Cneut of Belgium, Etienne Delessert of Switzerland, Svjetlan Junakovic of Croatia, and Roger Mello of Brazil. The winners will be announced on March 23 during the Bologna Children's Book Fair. I am on my way there now and will be sharing more news soon. 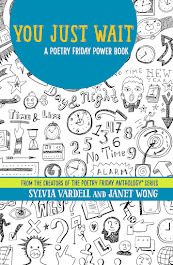 Do you like learning about the lives and working habits of the poets and writers you admire? I do! I find it fascinating to learn how they came to a writing career, how they approach the process of writing, and how their lives seep into their works. As a teacher, I also find it helpful to share these details with young writers who often think that the literary works they admire spring forth in perfection without a struggle! It can be reassuring and even inspiring for them to learn that all writers—of all ages—go through a process that usually involves a great deal of revision and their ideas are often drawn from their own lives. One series of kid-friendly books that provides just such an introduction to many popular creators of books for young people is the “Meet the Author” collection published by Richard C. Owen. 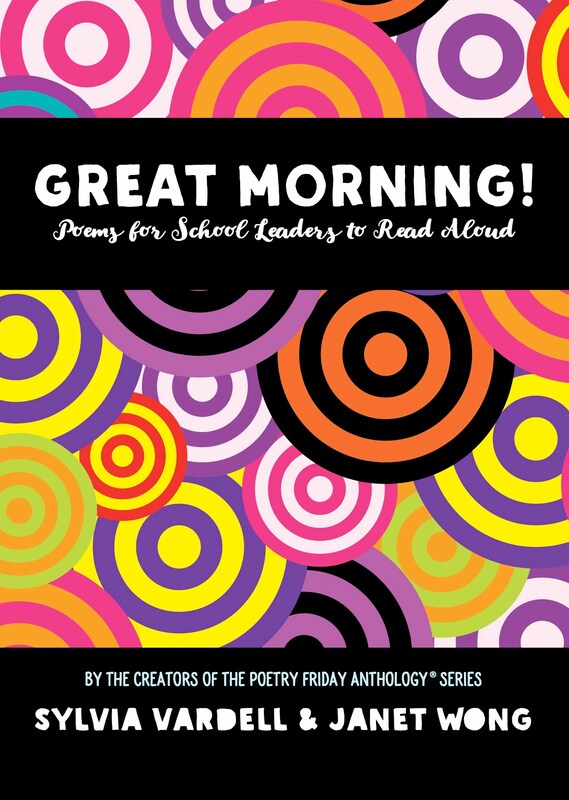 These are short (usually 32 page) informational works written by the authors, illustrators, and poets themselves and targeting kids in grades 2-5. 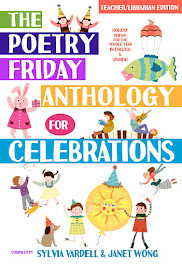 I think I’ve mentioned individual titles before because the 35 titles include several poets—Karla Kuskin, Janet Wong, Lee Bennett Hopkins, Douglas Florian, George Ella Lyon, plus Lois Ehlert, Joseph Bruchac, Cynthia Rylant, Jane Yolen. One of my favorite elements of these books is the inclusion of photographs of the authors in their homes, as young children, and at play—that really personalizes them! 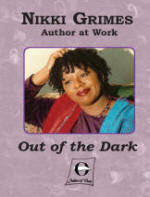 I read Nikki Grimes’ Out of the Dark and really enjoyed it. Not only do you learn a lot about her life and the sometimes unexpected twists and turns in her career as a writer, but it’s all told in her strong, opinionated first person voice! It’s compelling and revealing and even provocative in its honesty (she discusses the difficulty of rejection, for example). Plus, the photos on nearly every page give it a personal scrapbook look and feel. You don’t like that, do you? Grimes, Nikki. 2009. Out of the Dark. Katonah, NY: Richard C. Owen Publishers, p. 36. Won’t kids love seeing that-- and discussing it? I always enjoyed how Pat Cummings’ Talking with Artists series included information about the childhood of beloved book creators and these Meet the Author and Author at Work books do the same thing. How empowering for young readers to learn about the lives and struggles of the people behind the books they love. 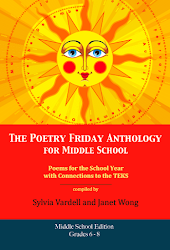 For more poetry treats this Friday, go to Becky's Book Reviews. I had the opportunity to spend a wonderful week in Ireland traveling with my family in December-January. What beautiful country, what friendly people, if I may generalize. There are ancient ruins in nearly every backyard and 40 shades of green on the Dingle peninsula alone! I was also reminded of the rich literary tradition in Ireland (Oscar Wilde, George Bernard Shaw, William Butler Yeats, Jonathan Swift, Edmund Spenser, Thomas Moore, James Joyce, Ezra Pound, Padraic Colum, Samuel Beckett, W.H. Auden, to name a few). One of my f avorite books of poetry from abroad is a collection of contemporary Irish poetry for young people, Something Beginning with P edited by Seamus Cashman and I’ve blogged about it before (March, 2007). It’s a gorgeous anthology—for both its 100+ original Irish poems and for its sumptuous, iconoclastic art. 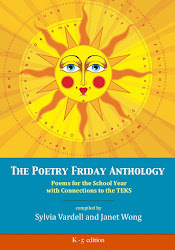 A gift of this book of poetry was sent to every Irish primary school in Ireland, courtesy of RTÉ Radio in Ireland. Isn’t that way cool? Imagine! Many o f the poems are simple story rhymes for the young by Irish poets, but a few were by “Anonymous,” so I thought I would share one of those. Perhaps you’re familiar with it, but it was new to me. It’s a wonderful way for kids to explain away the whatever goes wrong. In my German household, we always blamed the “heinzelmaenchen”—elves or goblins. Here, it is “Mr. Nobody” who is responsible! That gathers in the hall. And scribbles on the wall. In such a dreadful state. Taylor, Alice (Comp.). 1996. A Child’s Book of Irish Rhymes. Dublin, Ireland: Gill & Macmillan, p.22-23. Isn’t this a great poem to read aloud? The second time around, when you get to the last line, pause before saying, “Mr. Nobody” and see if the kids will jump in and say his name. I predict they will! 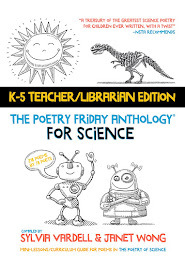 The poem would also be fun for kids to act out while you read it aloud, pantomiming the actions suggested in the poem—while wearing a blank paper plate mask with only two cut out eyes—as Mr. Nobody. Or perhaps they’ll want to draw each scene —graphic novel style —or sketch an image of what they think Mr. Nobody would look like. There are many terrific contemporary Irish poets writing for kids today (in English and Irish). Here are just a few listed below. And what better month to check them out than March? Happy St. Patrick’s Day (coming on March 17)! 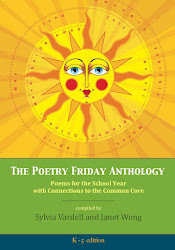 Danika is hosting the Poetry Friday gathering today at the TeachingBooks blog. See you there!